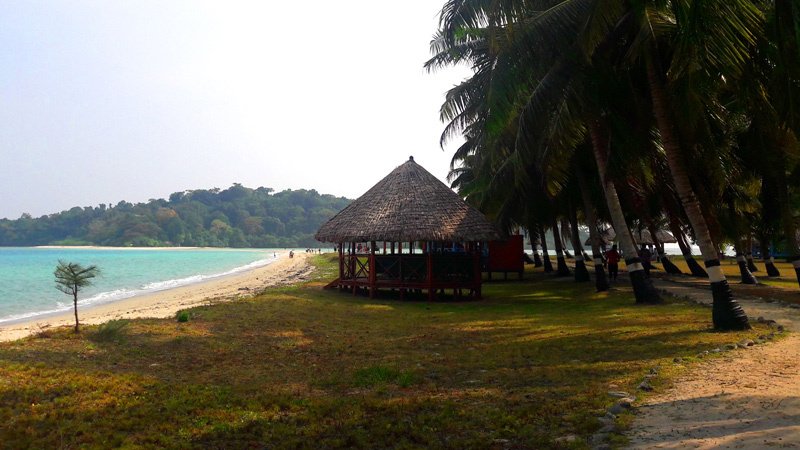 Rangat is situated at a distance of approximately 210 kilometres from the city of Port Blair, which is the main link between Andaman and Nicobar Islands and Indian subcontinent. Rangat lies in the Middle Andamans. Rangat is approachable from Port Blair via road. Buses ply or one can avail personal cab. Rangat is an excellent stopover point for interested tourists while travelling from South Andamans to North Andamans. The inhabitants of this island are typically from Bengali origin and Bengali is a prevalent language that is spoken in this part of the island. People of Tamil Nadu and Kerala are also quite predominant. The area of Rangat is approximately 1070 square kilometres. It is a typical beauty-laden island of Middle Andamans and has some of the prettiest of tourist destinations with pristine beaches and refreshing waterfalls. The inhabitants have two primary occupations, fishing and farming. Rangat is well connected to the capital city of Port Blair by road as well as by sea. Buses leave form Port Blair in the morning hours and takes around 6 to 7 hours to reach Rangat. Another thrilling factor about the road journey is that the bus route crosses through the reserves occupied by the ferocious tribes of the Jarawas. Ferries are also available 4 to 5 times a week from Port Blair to reach Rangat by sea route. This is a beautiful sandy beach, which is known to attract a lot of tourists who spend a joyful time swimming, relaxing, sun basking and lazing. This beach is magnificent and offers an exotic experience of cruising through the creeks lined by evergreen forests and deep seated mangroves. Enjoy watching the exotic flora and fauna of the island surroundings. Nature lovers, ornithologists, botanists and zoologists would be typically interested in visiting these parts given the wide variety of flora and fauna. Moorys Dare is a fascinating rocky terrain situated very close to the famous Amkunj Beach just across Amkunj Bay. This destination is especially attractive for the trekking lovers. Spend a blissful time in peace and solitude in the midst of Moorys Dare. This area is known to have a beautiful and gentle waterfall. The approach to the waterfall presents a rich bank of vegetation that might excite nature enthusiast. It is an amazing walkway similar to that in Baratang Island. The 720 metres long walkaway is an interesting experience. The captivating charm of Long Island situated off the southeast coast of Middle Andaman lies in the picture-perfect sandy beaches. Long Island is well connected to Rangat Island by means of Government run ferries. Visit the famous Lalaji Bay beach for a memorable experience. Long Island is a honeymooners’ paradise and is also known for scuba diving and snorkelling in its lovely blue and clean waters.